Analysts counted 18 attempted coups around the world in 1966 and none at all in 2007 or 2018. According to CoupCast, a predictive model based on 68 economic and other variables, Africa is the only continent where the factors that foster coups are still fairly widespread (see map). 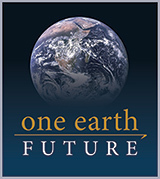 Perhaps the most rigorous quantitative forecast of political upheaval comes from One Earth Future (oef), an ngo based in Colorado that publishes a predictive model, CoupCast. The plight of the youth across the continent has only got worse. Perhaps a solution could be derived through tackling an element of corruption often overlooked – illicit financial flows – in the different African jurisdictions. Two weeks after Maduro's re-inauguration, opposition leader Juan Gauidó has declared himself the country's rightful president. The power struggle follows a failed military mutiny against Maduro, whose easy re-election in May 2018 during an economic, political, and humanitarian crisis has lead many to say Venezuela is a dictatorship.